From the generous donation received from GML International Ltd in the February, we have been able to have an art project “What would Lizzie Fry see now?” running on Tuesday afternoons since 19 September. Wendy Aldiss, Christine Wilkinson and Carla Conte helped explore with residents the link between Elizabeth Fry and our current residents: how she might see them and how they see themselves. 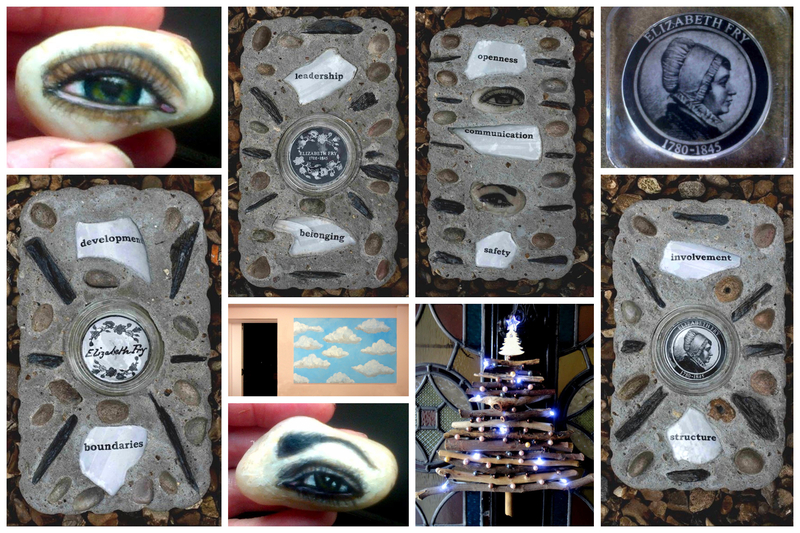 This included using photography to capture parts of identity (facial features, hands, nails etc), using projected images, including images of Elizabeth Fry, onto the faces of current residents, transfer of photos onto boxes, pebbles, jewellery, masks etc. Attendance at these sessions is outside of the formal group work programme, with feedback from residents having been very positive.